A Tops kitchen renovation will be the new heart of your home. How to decide what surface is best for your kitchen or bath renovation? Here's a brief rundown of each to get you started. Marble is a top choice for serious cooks and bakers. It's beauty and durability make it a popular choice for vintage or classic style kitchens and bathrooms. 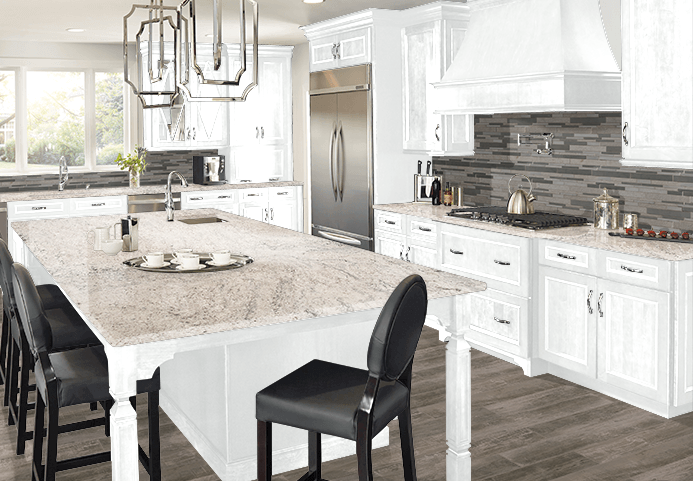 Offering unique patterns and textures and a wide range of natural colors, granite presents unique cutting options and custom looks from classic to rustic, and adds notable value to your home.